Don’t say we didn’t warn you! Kelowna is home to some of the Province’s most eclectic events and is sure to keep you busy no matter which season you visit in. Here is a list of some of the top LGBT2Q+ events! Annual Trans March and Social: Everyone is welcome at the Annual Trans March! Be sure to stay afterwards for refreshments and fun at the Social! Kelowna’s Next Drag Superstar: You will want to grab your tickets early for this event! 2019 will be it’s 8th year and tickets always sell out quickly. 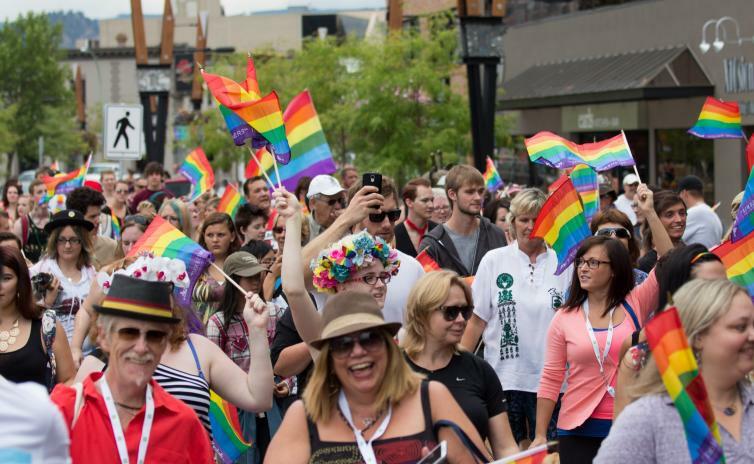 Pride Festival and March: A fantastic way to experience the inclusiveness of Kelowna! Expect to be surrounded by 5000+ like-minded people with an endless list of activities to do, entertainment to watch, and vendors to visit! Come and get your stomp on! Hosted by House of Rose Winery, come out for live music, wine and grape stomping! “An evening for everyone.” The Sugarplum Ball just completed their 3rd annual event. Over 400+ people attended, and it has been named the “most inclusive and welcoming event in Kelowna”. Fun fact, it’s named after our Mayor Sugarplum! Kelowna’s only “monthly queer safe & ally encouraged party” features live drag performances and is held at Sapphire! Hosted by the MX, this is a great way to introduce yourself to some of the local professionals in the region! 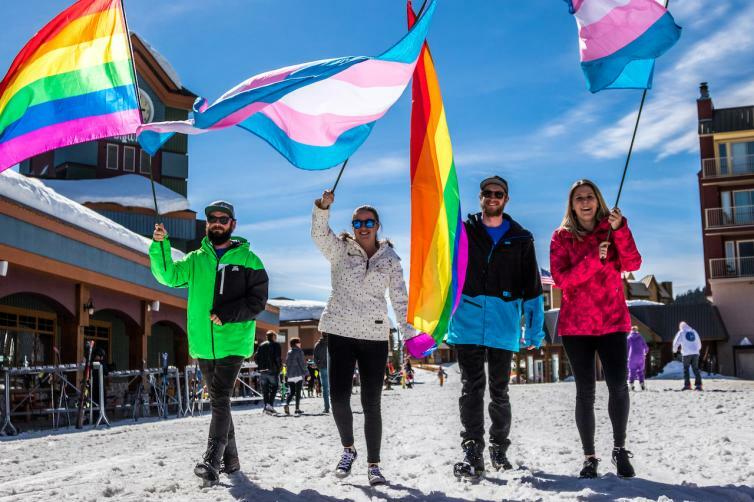 At Big White Resort and Sun Peaks Resort- Held in March and April, Peak Pride is a truly Canadian experience. 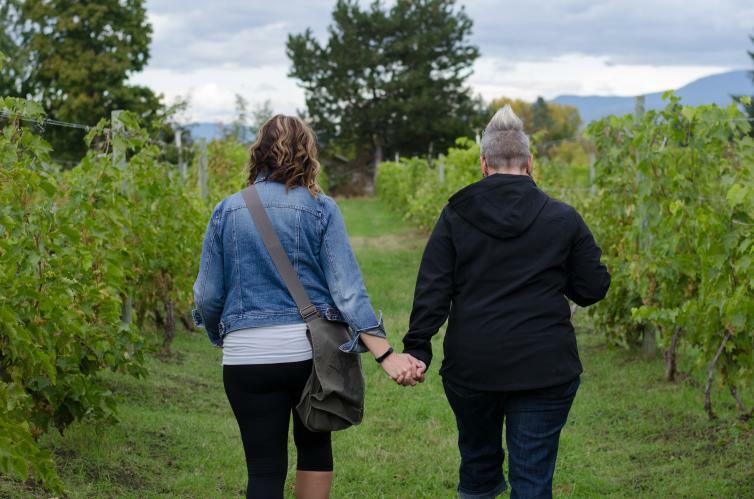 This is an inclusive weekend made even more magical by the backdrop of B.C.’s beautiful mountainous region. Hosted by local drag queen Jenna Telz! As the only full-time Drag Queen in Kelowna, keep an eye on social media for information on monthly shows at different venues around the city! Check out our Annual Events & Festivals pages and stay up to date for upcoming events with our Calendar of Events.